School Improvement Liverpool & Liverpool Learning Partnership invited Liverpool schools to take part in a Dragon’s Den as part of Liverpool Counts. The challenge was: "Can you design a Maths Board Game or a Games App for Maths?" We decided that we wanted to merge both a board game and an app together to create an amazing maths game for all the family to play and have fun playing as well as be challenged in Maths and learn about the world! We incorporated the free app ‘Aurasma’ as continental challenges in our game. Once you complete a continent by answering different word problems, you have to answer a data handling question using Aurasma. Here you collect a code breaker token. Then you can move onto the next continent where you repeat the process until you finally reach our home continent ‘Europe’. At the end all players take part in a code breaker challenge whereby you have to try and make the target number using the number tokens that you collected on your journey. The player who makes the target number or is the closest to it wins the game! 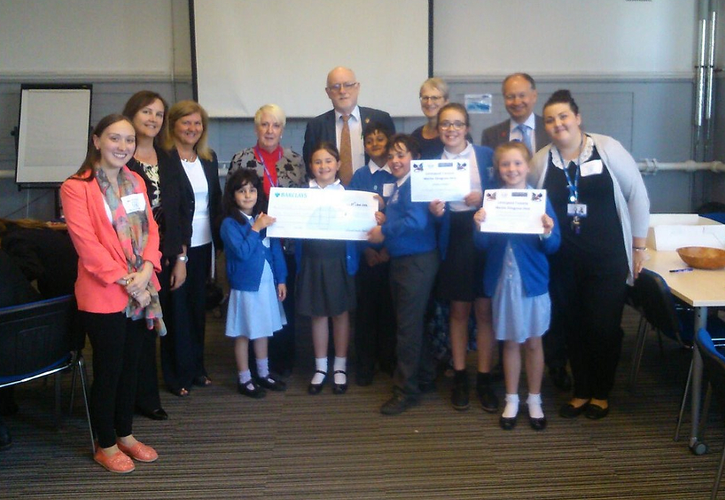 St Michael in the Hamlet Primary School were shortlisted to participate in the Dragon’s Den Final where they competed against 11 other schools in Liverpool; 5 primary schools and 6 secondary schools. The team known as ‘The Hamlet Hoppers’ consisted of six children aged 6 – 10, led by pupil manager Zahid Khan. 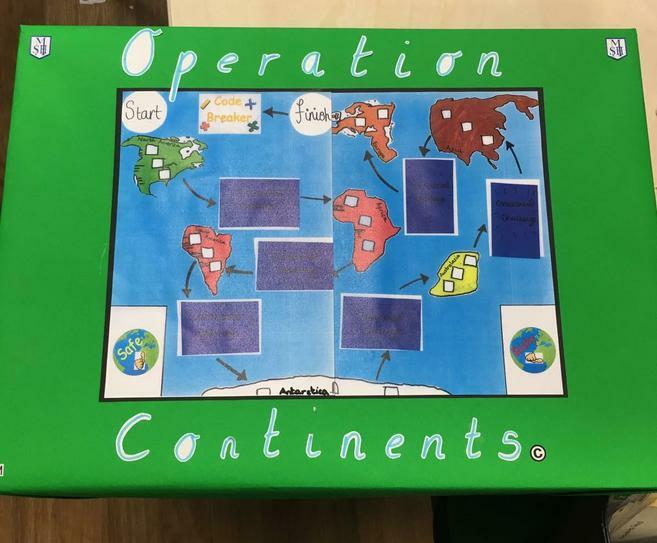 Together, they delivered an informative ten minute presentation explaining their fabulous game ‘Operation Continent’. The Hamlet Hoppers successfully won the whole competition, securing their school £1000 to spend on maths resources and they have big plans to sell their maths game in the near future! Come along to the Junior Foyer to see our fantastic £1000 cheque on our informative board explaining how we made the game.